There are many ways of combining art and psychoanalysis. Freud notoriously combined them in illustrating his wish-fulfilling theory of dreams in terms of the life and work of Leonardo da Vinci. Lacan combined them in seeking to demonstrate the captivating effect of the external world on the life of the mind. And the art critic, Adrian Stokes, combined them to highlight the centrality of the physical form of art in achieving its psychological effect. Now in The Studio, poet and university lecturer, Gill Gregory, combines free associations about members of her family evoked in her by various works of art and by quotes from the edition of Freud which her father once owned. To these free associations she adds details about the creators of these works of art and about members of her family informed by what she has learned from years of psychoanalytic treatment beginning after her father’s death several decades ago. ‘Children have no scruples over allowing animals to rank as their full equals,’ she quotes from Freud’s book, Totem and Taboo, in going on to link this with a painting by Edwin Landseer. Not his famous picture of a stag, Monarch of the Glen (1851), but his picture, The Arab Tent (1866), including a mare and her foal which she equates with her mother and Andrew. It reminds her of their family home in Surrey where tea-time was regularly interrupted by Andrew’s petit mal epileptic seizures – ‘his poor body rigid and jerking’ – after which he returned to normality when it seemed to Gregory that his life depended on the family resuming eating and wiping their plates clean. She also tells us how such interruptions have made it difficult for her to achieve a ‘connected sense of the world’; and how, as his illness worsened, Andrew believed he was the messiah, planned to go to Jerusalem but was prevented by a grand mal seizure, after which he made himself a coffin in which he sat playing a guitar ‘beaming with dark, surreal humour’. She precedes this with the story of Landseer’s insanity, and with a chapter which takes its message from Freud’s approval of science. She links this with praise of the anatomical detail of George Stubbs’s painting, Zebra (1762-63), and with her admiration of, love for, and regret that her father’s psychiatric work at Horton Hospital in Epsom, his psychoanalytic training, and his directorship of the Paddington Day Hospital in London took him away from her and their family in Surrey when she was a child. Particularly engaging, however, is a chapter which starts with Freud’s reflections about the derivation of the word ‘material’ from the Latin word for mother, and with the cover of Stokes’s book featuring Cézanne’s painting, The Gardener Vallier (c.1906), depicting Vallier sitting on a wooden chair. It reminds Gregory of her therapist’s comfortable looking chair with wooden arms; and of her psychiatrist father’s ten year psychoanalytic treatment by Paula Heimann helping him keep going during the ‘stultifying depression’ that followed his divorce from Gregory’s mother after Andrew’s death aged twenty-six in 1977. This painting also reminds Gregory of a colleague of her father describing him as a ‘stoic’, this evoking an image of him sitting Vallier-like on a wooden chair. Cézanne’s Vallier painting also brings to mind in Gregory her archive-based discoveries about her art collector relative, Frank Stoop, and his bequest of this painting and of other works of art to the Tate Gallery in London. Together with Freud saying ‘Humour is not resigned; it is rebellious … against the unkindness of real circumstances’, these discoveries remind Gregory of her mother, despite the problems posed by Andrew, smiling to herself as though ‘enjoying a joke her family will never understand’. To this Gregory links another item in the Stoop bequest, Cézanne’s painting, Still Life with Water Jug (c.1892-93). 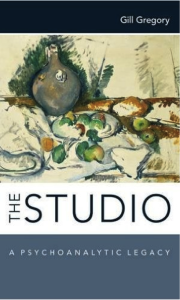 Reproduced on the cover of The Studio, it evokes in Gregory an image of her mother laying lunch – ‘bread and cheese and apples, jugs of water and wine to wash them down’. Gregory follows this with Freud’s observations about a sculpture, Gradiva; with Stoop’s gift to the Tate of a sculpture, Red Stone Dancer (c.1913), by Gaudier-Brzeska: and with free associations they evoke in her. She then regales us with Freud’s account of his patient Sergei Pankieff’s dream about wolves; with Stoop’s bequest to the Tate of Gaudier-Brzeska’s sketches of animals; and with the story of Van Gogh and his painting, The Oise at Auvers (1890) – a painting she links with Van Gogh’s sunflower pictures and with Freud’s account of ‘[t]he Lernaean hydra with its countless flickering serpent’s heads’. More amusing is Gregory’s quote from Freud’s dream of himself with his brother seeing a ‘breakfast-ship’ and her imagining her Russian émigré grandfather, Alexis Chodak-Gregory, on board. This leads her into telling his story. It includes the sale in 1949 at Sotheby’s of his collection of paintings by Constable, Gainsborough, Girton, and Turner. She ends, however, with the story of the modern artist, Christopher Nevinson, which she links with Freud describing a bridge as a symbol of ‘transitions or change’, and with the change symbolised for her by Nevinson’s painting, A Studio in Montparnasse (1926), shown in 2013 at an exhibition in the Dulwich Picture Gallery near where she now lives. Unlike other combinations of art and psychoanalysis with which I began the combinations for which Gregory opts can seem overly haphazard relying as she does on what her free associations tell her. Nevertheless, through thereby tracing and movingly recounting the stories not only of artists but also those of her brother, father, and mother, and of her art collector relatives, Gregory provides an intriguing family saga akin to that tracked down by the potter, Edmund de Waal, in association to a tiny sculptured Japanese netsuke object in his book, The Hare with Amber Eyes. 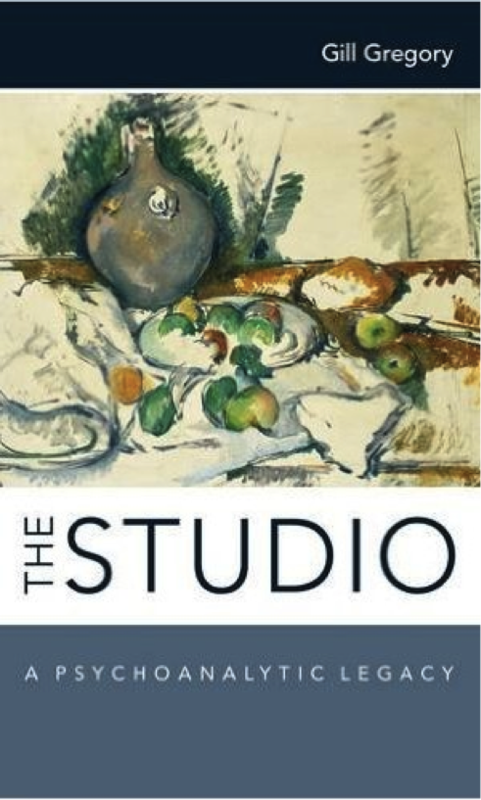 The Studio was published by Free Association Books in September 2015. Its author, Gill Gregory, is a poet and lecturer at University of Notre Dame in London. 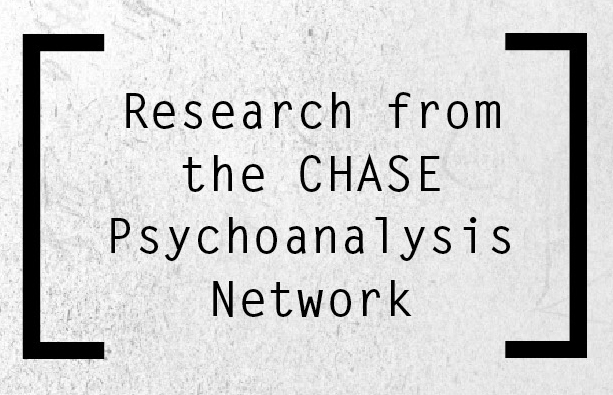 Its reviewer, Janet Sayers, is emeritus professor of psychoanalytic psychology at the University of Kent in Canterbury where she works as a clinical psychologist for the NHS. Her most recent book, Art, Psychoanalysis, and Adrian Stokes: A Biography, was published by Karnac in July 2015. This entry was posted in Book Reviews, News, Resources on March 21, 2016 by Catherine Grant.